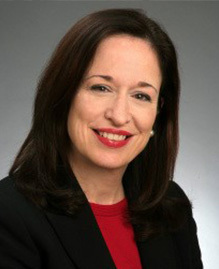 Mary Nummelin has over 25 years of senior leadership experience in small, mid and large-sized corporations, including Rolex, Polar Heart Rate Monitors, Ipsos Market Research, Esselte-Pendaflex, Vytra Health Plans (now Emblem) and Catholic Health Services of Long Island, a large regional health system. Mary helps build better organizations by aligning how to best serve customers in the most efficient way possible, staffed with the best people. In addition to her expertise as an organizational development and human resources practitioner, she possesses a multi-functional understanding of business, making her uniquely qualified to provide solutions to any client business problem. She is quite reliable in observing patterns and trends with an intuitive sense of what’s going to happen next, and knows what you need to put in place now to deal with it. Mary’s strong “people sense” provides the essential component of success in transforming organizations. A successful executive coach and leadership development expert, Mary enjoys using her experience and skills to help others release their full potential. Her expertise includes all phases of talent management, strategic business planning, operational execution, service excellence and sales force development. Trained in both Six Sigma and LEAN, Mary is skilled at identifying and addressing opportunities to create efficiencies that increase profitability and improve morale. Mary is a certified Korn/Ferry, powered by Lominger Leadership Architect® practitioner, Certified Just Culture® Leader, ASQ Six Sigma Champion Linkage® Certified Executive Coach. She earned her BA and MA in History from the State University of New York at Stony Brook.